Mythology pictures Lord Ganesha as the son of Lord Shiva and Goddess Parvathy. Lord Ganesha also known by the name Vigneshwara or Vinayaka is noted for the unique body design. 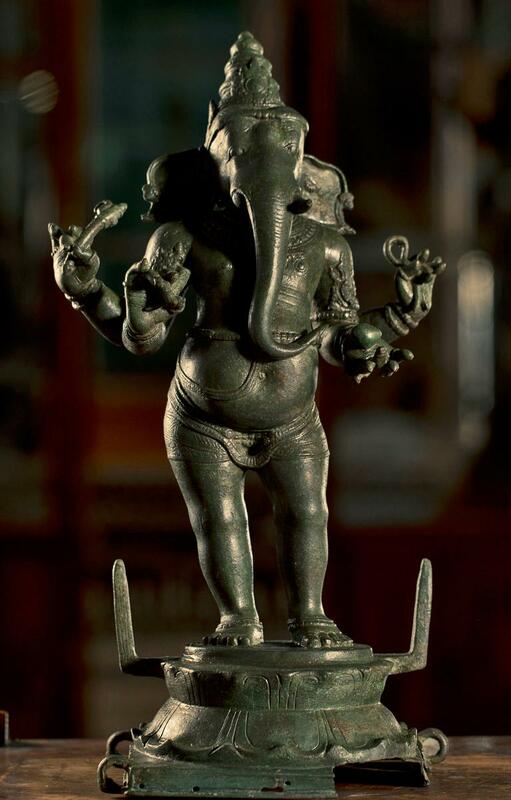 The exhibit is a four handed Ganesha in standing posture. The trunk is facing towards the left side touching the sweet in the lower left hand.